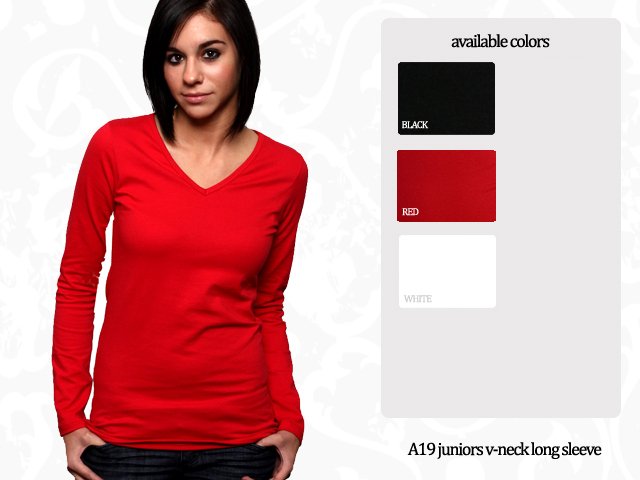 The Juniors V-Neck Long Sleeve T-Shirt is super soft 95%cotton/5%spandex blend tee that is designed to fit you comfortably. With a hint of spandex material, your tee stays the same shape all day long when you wear it. It is pre-shrunk to insure your t-shirt maintains its original shape and color, wash after wash. Available in sizes S-2XL. Blank, 5.5 oz. Made in the USA.